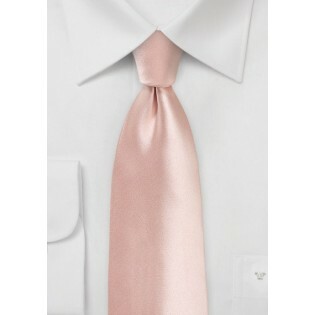 Leave everyone breathless with the addition of this peach blush hued mens tie to your closest. The lively pink hue and sleek, fresh form provide for an easy choice when shopping for a stunner. 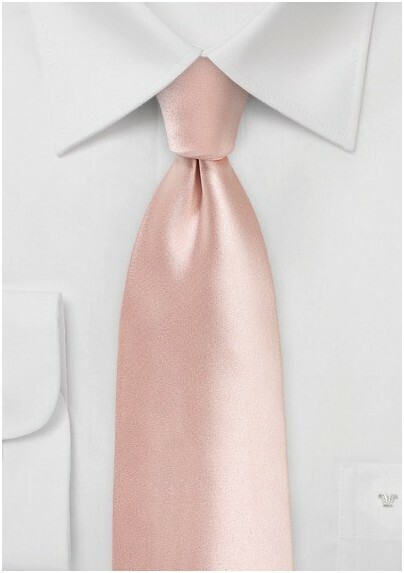 Wear it with a tan suit and rich brown oxfords for a snappy appeal. You can wear this durable microfiber item on a casual coffee date, or to your more important formal events as it's versatility and resilient nature make it effortless.